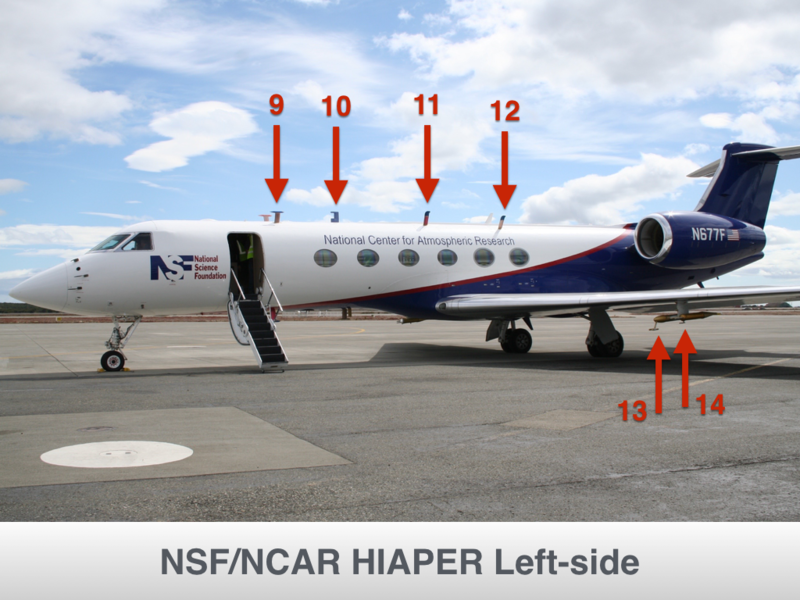 Our research aircraft are essentially "flying laboratories". 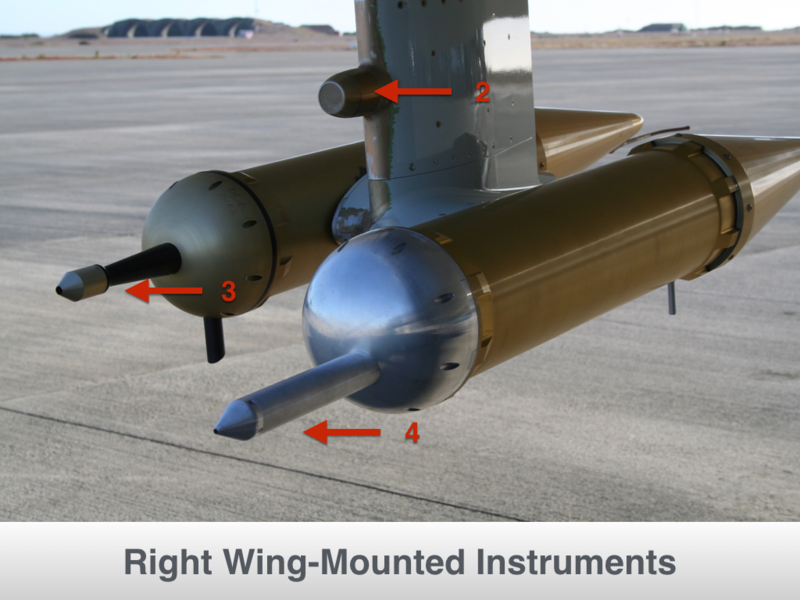 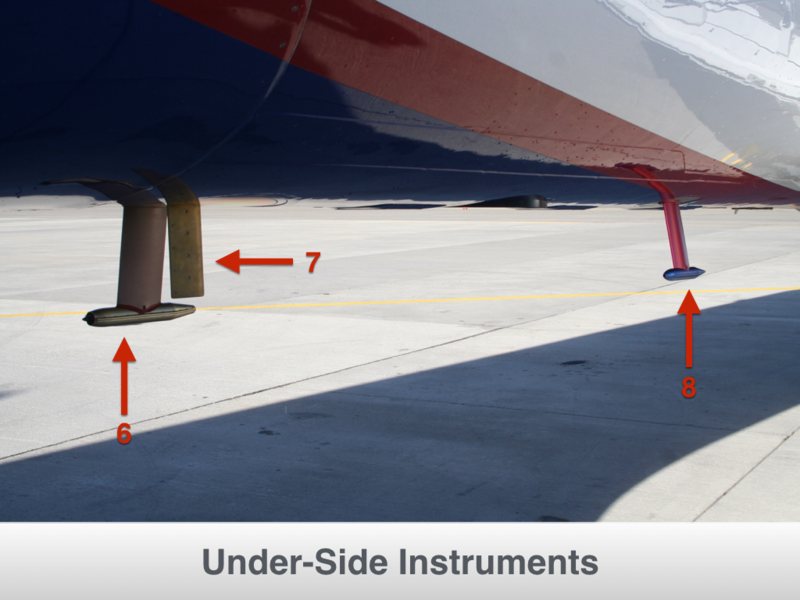 For each field project a specialized suite of instruments are uploaded to the aircraft to meet the research needs of the study. 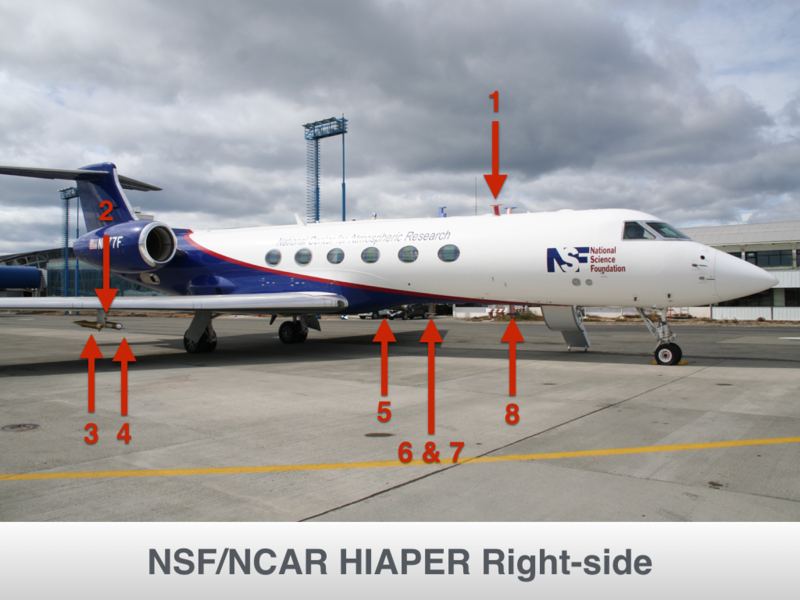 ORCAS will use the NSF/NCAR HIAPER Gulfstream V research aircraft with a suite of specially designed instruments on board to make measurements of gases such as oxygen (O2) and carbon dioxide (CO2) in the atmosphere and other environmental conditions over the Southern Ocean and surrounding areas. 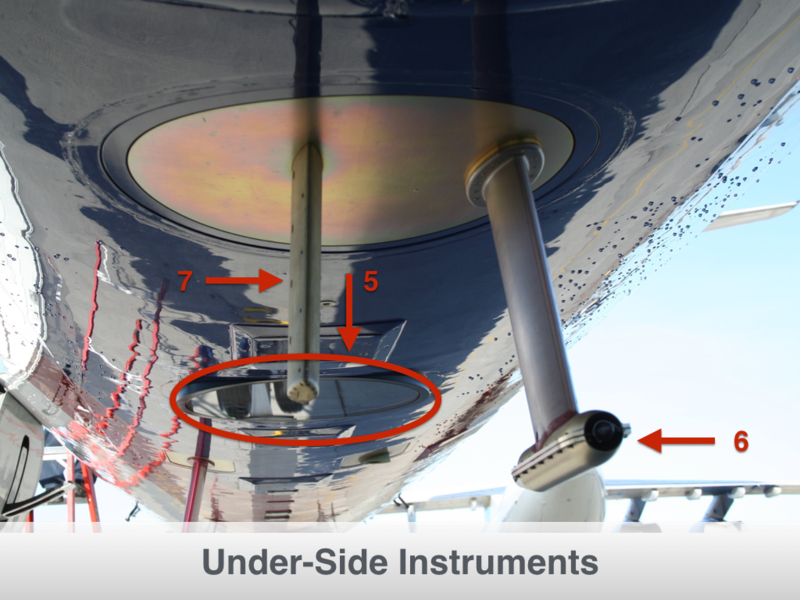 Instruments fall into four main categories to make measurements of 1) the carbon cycle, 2) reactive trace gases, 3) remote sensing of chlorophyll levels, and 4) aerosols and cloud microphysics. 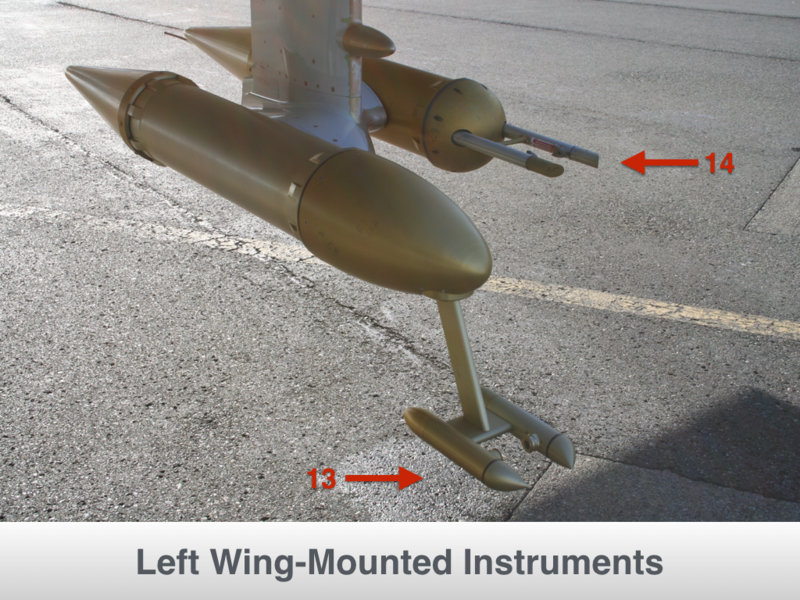 Data will be collected over the span of approximately 14 7-hour research flights, and measurements taken from research vessels and a network of ocean sensing arrays are also contributing to the research project.